Full length rust-resistant, stainless steel blade, non-slip rubberised cushion grip, with a hammerhead end. Can be used as a nail head ripper, roller cleaner, scraper, putty ripper, paint can opener, hammer. 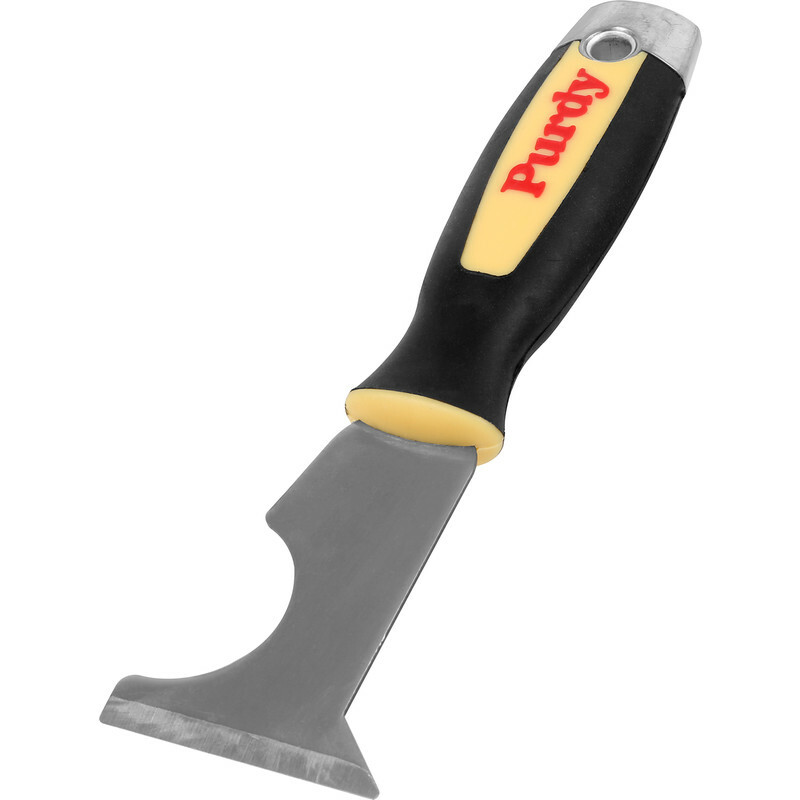 Purdy 6-In-1 Painters Tool is rated 4.7 out of 5 by 3. Rated 5 out of 5 by Chris12345 from We all need one I have two of these, one kept for “best” used for removing beading from UPVC windows and the other I have hit with everything you can think of and still going srtrong !!! Rated 5 out of 5 by TrevF from Decorating essential I've owned one of these for years and it is the only tool I use every single day at work. Along with its obvious uses, such as scraping, cutting out cracks and opening paint tins, I've also been known to use it as a makeshift chisel, smashing the end of it with a 20 oz hammer to remove lumps of multi-finish and render. Still going strong and I'm starting to wonder if it's indestructible. An absolute gem of a tool.